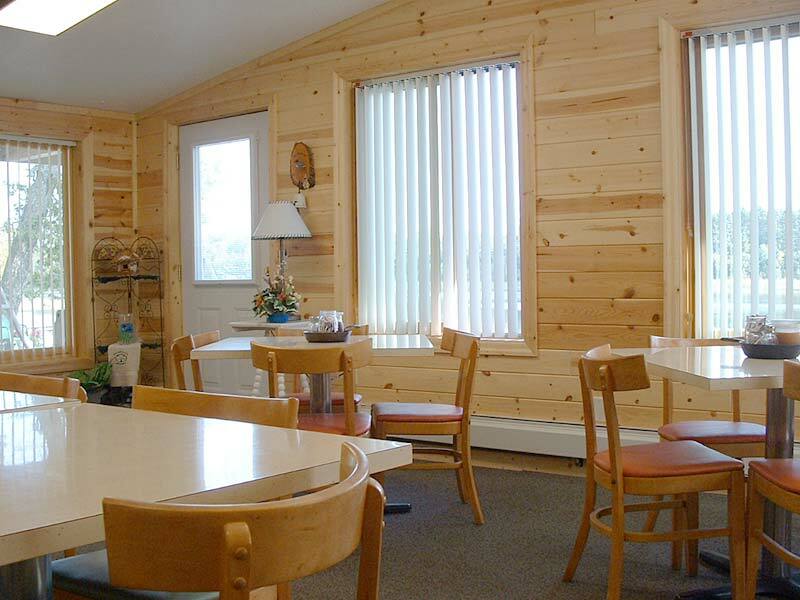 The dining room at McArdle's Resort is just one of the many amenities that makes McArdle's the premier fishing and family resort on Lake Winnibigoshish. Conveniently located in the Lodge, our dining room offers guests the opportunity to "eat out" while sticking close to the resort! Our menu is loaded with delicious options for breakfast, lunch and dinner but reservations are required. American Plan lodging is an option available to McArdle's guests. With it we offer guests the opportunity to package dining and accommodations together for one price. Our American Plan requires a minimum of 4 people and includes breakfast, lunch and dinner, towel service and lodging for $110 deluxe cabin/person/day, $125 ultra deluxe cabin/person/day and a $250 deposit (Summer Only). Heading out for a day of fishing? That's ok - we'll make up a brown bag lunch for you to take along! Our American Plan is offered based on availability. Call us at 1-800-535-2398 for details or to make a reservation. Breakfast: 7:00 a.m. to 8:30 a.m. Lunch: 12:00 p.m. to 1:00 p.m.
Dinner: Served at 6:00 p.m.
© 2006 McArdle's Resort All Rights Reserved. Website Design, Hosting and SEO by E3 Consulting Services.